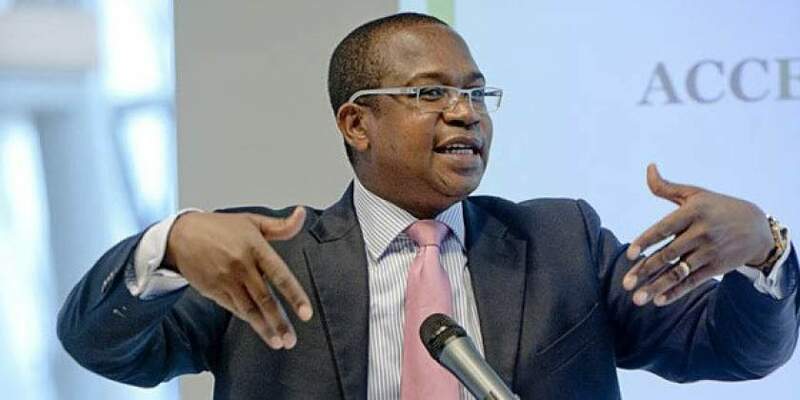 Finance Minister Mthuli Ncube has said the country’s inflation rate, which surged to the highest annual level since a hyperinflation blowout a decade ago, is being misread and the measure of monthly increases shows price growth is being reined in. While annual inflation accelerated to 56.9% in January from 5.4% in September, the month-on-month rate was 10.8%, down from 16.4%in October. Inflation peaked at 500 billion percent in 2008, prompting the government to abandon its currency and adopt a system where the dollar is most commonly used. "We acted quickly and this ‘month-on-month inflation,’ despite shooting, has been controlled," Ncube said in an opinion article to be published in the state-controlled Herald newspaper on Thursday. "There is therefore a real manageable trend in ‘month-on-month inflation,’ an encouraging trend. With further implementation ‘month-on-month’ inflation could even reach close to zero by year-end." Still, the minister, a Cambridge University-trained economics professor, warned inflation is likely to remain at elevated levels until September, saying the step change in the annual rate was caused by "fiscal indiscipline and a high import bill relative to export receipts." Zimbabwe began printing a quasi-currency known as bond notes in 2016 to fund rampant government spending. The securities were pegged at par with the US greenback, but traded at a discount on the black market. Electronic transfers, known as RTGS dollars, were also discounted. Black-market currency rates plunged late last year and pushed up costs of imported goods, prompting some retailers to charge different prices depending on the method of payment. The central bank announced on Wednesday it’ll combine the bond notes with RTGS dollars and allow the market to set the rate they trade at, which may help reduce consumer prices. Real annual inflation at the more commonly used black market rate is 269%, according to Steve H. Hanke, a professor of applied economics at the Johns Hopkins University in Baltimore. "No one has a model that can forecast the course and the duration of these periods of high inflation," he said. While the government more than doubled fuel prices last month, sparking protests that left at least 17 people dead, Ncube said the government has put in place "rebate mechanisms" so that the impact isn’t transmitted to goods and services prices. "The decision taken by government to adjust taxes on fuel was designed to bring a long overdue reform to correct a structural misalignment," he said. "It was not an easy decision to make. It was not a popular decision. But it was the right decision for our economy." While the government currently says bond notes are equal to the US dollar, they’re not accepted by foreign suppliers. That’s resulted in payment problems for companies such as gold miners and grain millers. Shops charge customers different prices depending on which unit they use to pay, offering discounts as high as 70% to those who use real US dollars.